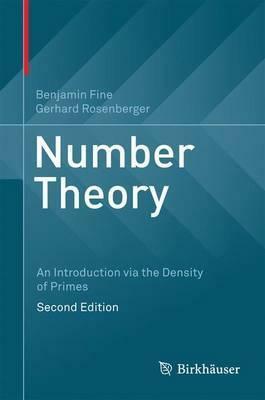 Now in its second edition, this textbook provides an introduction and overview of number theory based on the density and properties of the prime numbers. This unique approach offers both a firm background in the standard material of number theory, as well as an overview of the entire discipline. All of the essential topics are covered, such as the fundamental theorem of arithmetic, theory of congruences, quadratic reciprocity, arithmetic functions, and the distribution of primes. New in this edition are coverage of p-adic numbers, Hensel's lemma, multiple zeta-values, and elliptic curve methods in primality testing. The user-friendly style, historical context, and wide range of exercises that range from simple to quite difficult (with solutions and hints provided for select exercises) make Number Theory: An Introduction via the Density of Primes ideal for both self-study and classroom use. Intended for upper level undergraduates and beginning graduates, the only prerequisites are a basic knowledge of calculus, multivariable calculus, and some linear algebra. All necessary concepts from abstract algebra and complex analysis are introduced where needed. Illustrations note 1 Illustrations, color; 11 Illustrations, black and white; XIII, 413 p. 12 illus., 1 illus. in color. Introduction and Historical Remarks.- Basic Number Theory.- The Infinitude of Primes.- The Density of Primes.- Primality Testing: An Overview.- Primes and Algebraic Number Theory.- The Fields Q_p of p-adic Numbers: Hensel's Lemma.- References.- Index. Benjamin Fine, PhD, is Professor of Mathematics at Fairfield University, CT, USA. Gerhard Rosenberger, PhD, is Professor (retired) at Dortmund University of Technology, Germany.